Suri Cruise and Katie exiting JFK airport after a flight from Detroit, MI on Sunday, March 23rd 2014. 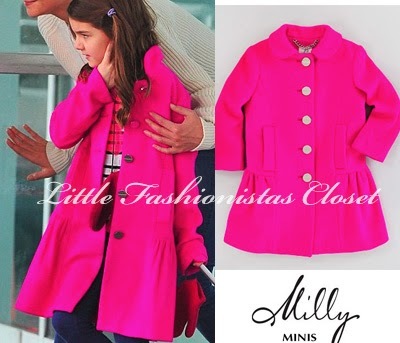 Suri was wearing Zoey Pink Peplum Coat FW13 by Milly Minis. 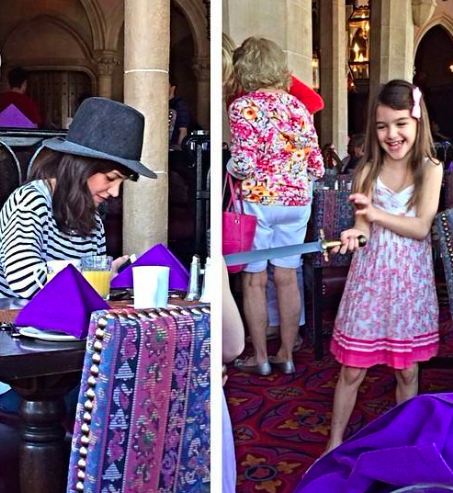 March 2014: Suri's WD getaway to Disney World! 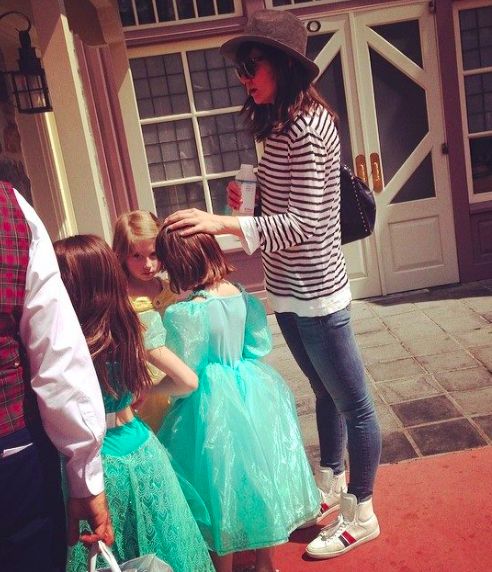 Suri Cruise spent a fun-filled weekend with her girlfriends at Disney World, Orlando, Florida. (March 15/16th 2014). Suri Cruise headed to the movies with friends in NYC on Wednesday, March 13th 2014.
outfit info: coat by monnalisa, dress by lanvin, shoes by jessica simpson. LOVE Suri's STAR Headband!!! - id? Suri Cruise was accompanied by Katie while arriving at The Avenues School in NYC on Tuesday, March 11th 2014.
outfit info jacket by monnalisa, dress by pale cloud, cardigan by crewcuts, shoes by jessica simpson. Suri Cruise pictured outside The Avenues School in NYC on Friday, March 7th 2014.
outfit info: coat by monnalisa, cardigan by crewcuts, dress by bon point, shoes by jessica simpson. 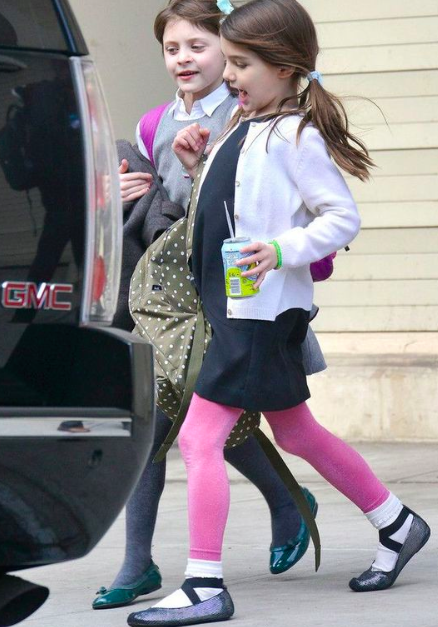 Suri Cruise spotted after school in NYC on Thursday, March 7th 2014. Thanks to Tia for the photo! 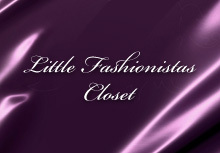 outfit info: Grey Faux Fur Coat FW13 by Monnalisa and Liberty Print Ballet Flats SS'13 by Crewcuts. 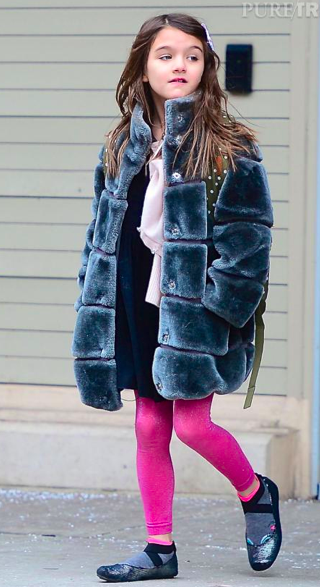 Suri Cruise spotted arriving to The Avenues School in NYC on Wednesday, March 5th 2014.
outfit info: Navy Bow Dress FW13 by Oscar de la Renta (first seen Onstober 2013), Grey Faux Fur Coat FW13 by Monnalisa, Twitchy Kitty Purple Hat by Flipeez and Liberty Print Ballet Flats SS'13 by Crewcuts.